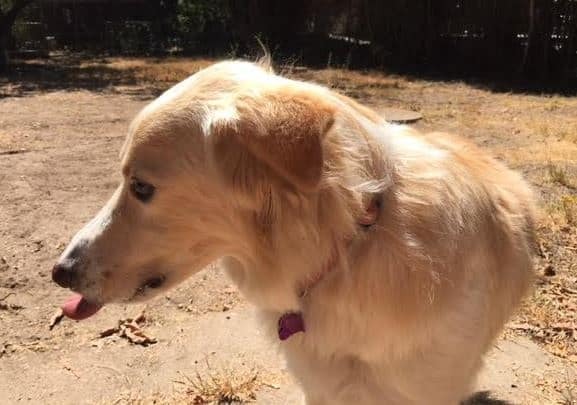 Boo is a male Golden Retriever Border Collie mix dog for private adoption to a very loving home in or near Los Angeles CA. Boo is very healthy, fixed, up to date on shots and house broken. This very special Dog is 2 years old and weighs 45 pounds. Boo is a perennial ray of sunshine! My name is Boo. Are you looking or the ultimate family dog? A dog that is highly intelligent, extremely handsome, and very affectionate with people of all ages? Well you have found him. 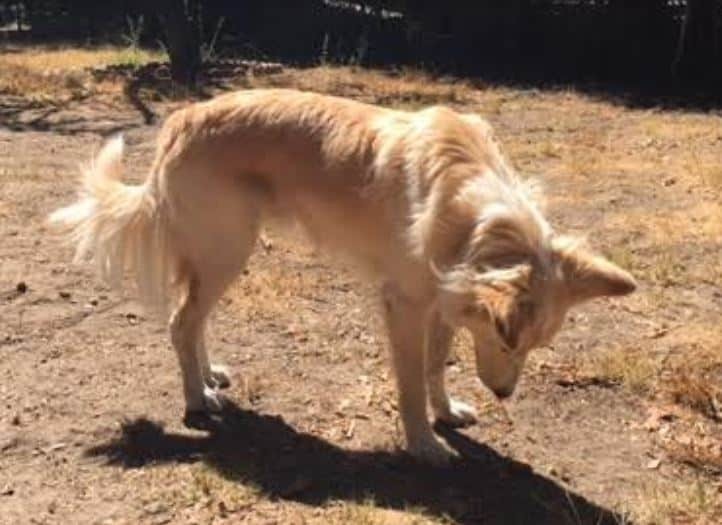 I am a young and healthy Golden Retriever Border Collie Mix. 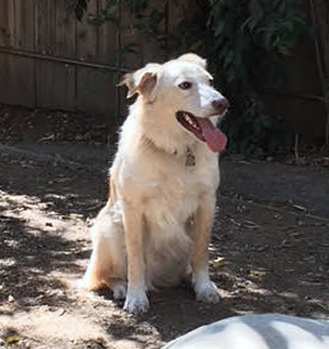 I have the long blonde locks of the Golden Retriever, and the superior intellect of the Border Collie. I am healthy, fixed, fully vaccinated and ready-to-love. You are probably wondering why an amazing dog like me is looking for a new home, aren’t you? I was adopted by a senior lady with mobility issues. She did not realize that I would need as much exercise and stimulation as I do, and is just not able to give me what I need to stay happy and healthy. I am playful and love the outdoors. 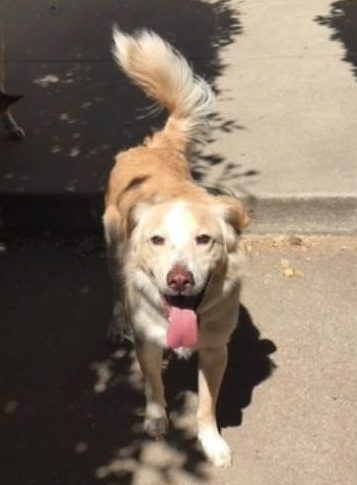 I am looking for a family with a large, securely fenced yard, and lots of time to play with me, take me for walks/runs, and hang out with me. I love human companionship and am good with respectful children. I love to go on walks, and am good on a leash. I am very affectionate, and I love to cuddle. I am a first hand family member, and I will add immeasurable love, joy, laughter and friendship to your family. I am house trained, and will come with any supplies my owner has on hand for me. I will also bring my veterinary records so that you can register me with your vet. Please offer me a loving home today. I can’t wait to meet you and wag and wiggle my way into your heart and home. He is quiet and doesn’t bark. He does not live with me. His owner is in-firmed and elderly. He had a cluttered environment and was left alone when his owner went to the hospital. He did not have anyone but his owner. He would love a stable family. Boo’s Favorite Toys, Foods, Activities? When he shows affection, he gives it back in kind. Why is Boo Being Rehomed? His owner can no longer care for him. Such a gorgeous blonde coat.